Jennifer Bowers, PhD, RD, handpicks the crave-worthy snacks with healthier ingredients that won’t bust your calorie budget. 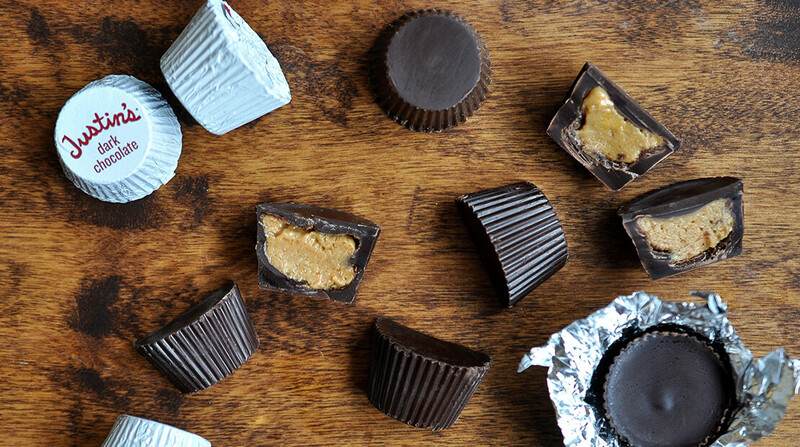 Chocolate and peanut butter may be the ultimate delicious flavor combination ever created. Peanut Butter Cups pack a decent nutritional punch because of the protein in the nuts (5 grams), however, the sugar content is higher than ideal (21 grams in a two-pack). For a healthier version, check out Justin’s organic dark chocolate peanut butter cups with slightly less sugar (17 grams in Justin’s).